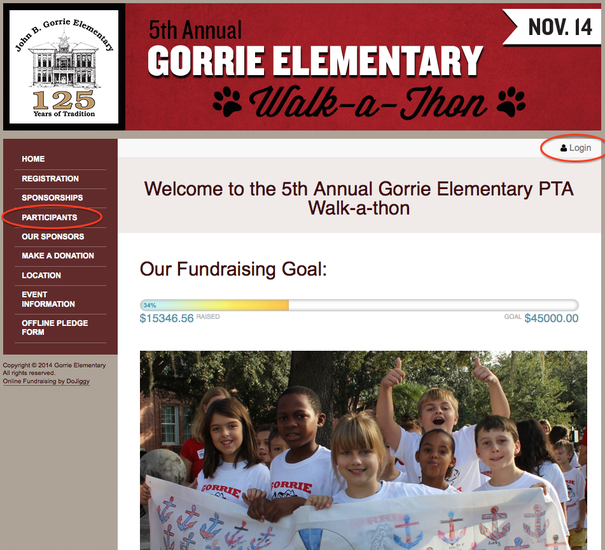 Thank you for registering your child for the walk-a-thon at: gorrie.dojiggy.com. Now, you can send your personal link to friends and family to raise funds for our school. 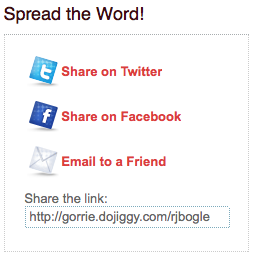 Get started today: go to gorrie.dojiggy.com and log in using the link on the top right. If you don't know your log in, simply click on the participant listing on the left and locate your child's name. 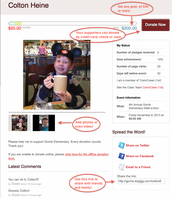 From there, you can share your child's fundraising link. 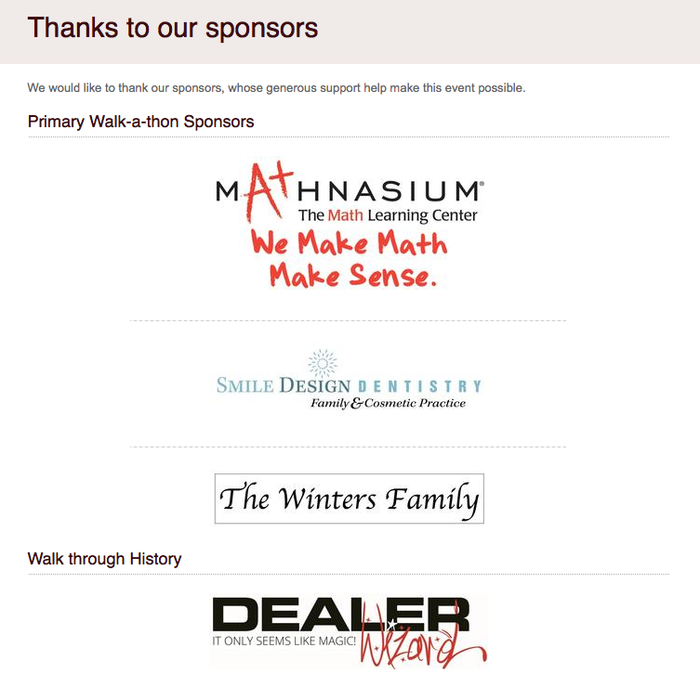 Sponsorships available: family names or businesses are listed on the walk-a-thon shirts starting at $200. 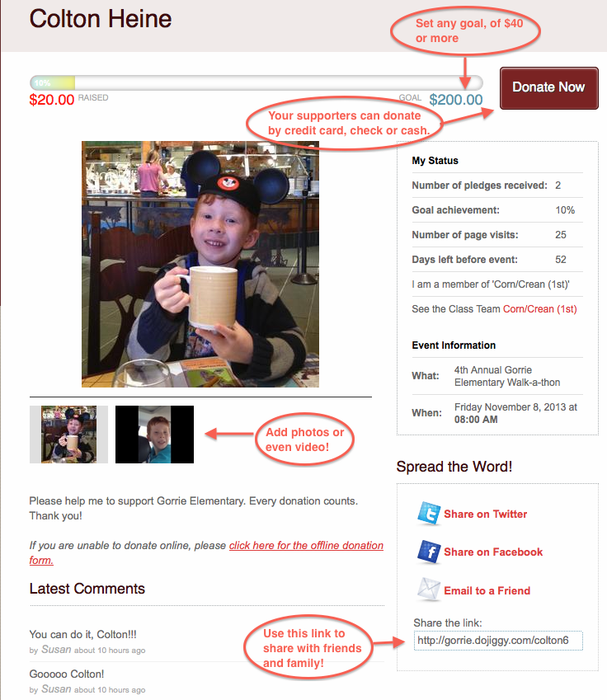 Go to your child's page* and click on "donate now" button on the right. Sponsorships are due by Friday, October 10th to allow printing time. Details here. *If you have multiple children and want to do a sponsorship, pick one child and indicate in the notes that you want to split it amongst your family and we'll take care of it. You may choose to add photos, a special note and set your fundraising goal. With one click, you can email, post to social media sites and more! Copy and paste the link on the bottom right of your child's page or click the share buttons. Your business or family can choose from several opportunities. 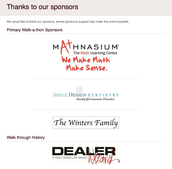 Sponsorships are due by October 10th to allow time for printed materials. Info here.